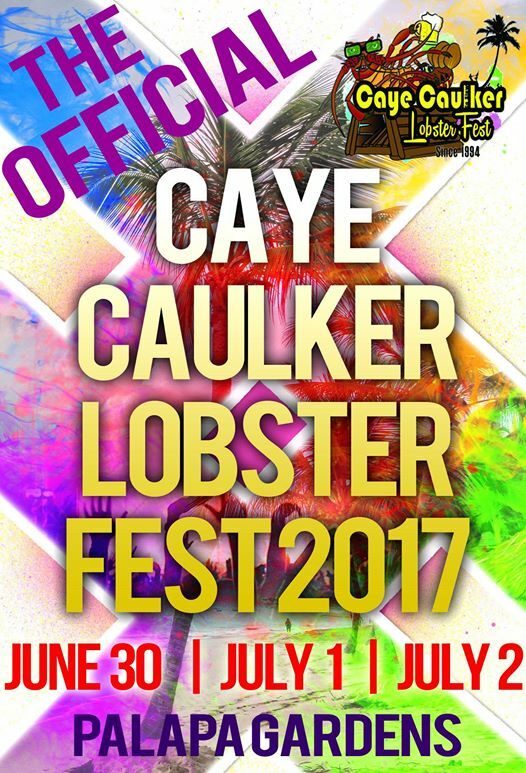 Are you ready for Caye Caulker Lobster Fest 2018? San Pedro Lobster fest kicks off today! Posted: Friday, June 15, 2018. 11:55 am CST. By BBN Staff: Belizeans and tourists are heading over to Caye Caulker for the annual Lobster Festival on June 29, June 30 and July 1. The Caye Caulker Lobster fest is a Lobster-full weekend event, literally. The event began on July 1994 by the Islanders Veterans Football Club. The Caye Caulker Lobsterfest is the original Lobster Fest of Belize, and the only festival on Caye Caulker Island. The celebration kicks off at the Palapa Garden in Caye Caulker on Friday, June 29, with the Miss Lobster Fest pageant 2018. Then on Saturday and Sunday, the fest continues with a beach party, more dancing competitions and fun games for the family. Many Belizean DJ’s will also join in on the celebration including DJ Odyssey, DJ Khris, DJ Jago, DJ Julian, Evolution Sounds, DJ Clarence, the Youth Connection Band and Blue Wave Sounds.